These Old World Sandals look like something that your grandpa's grandpa would have worn. 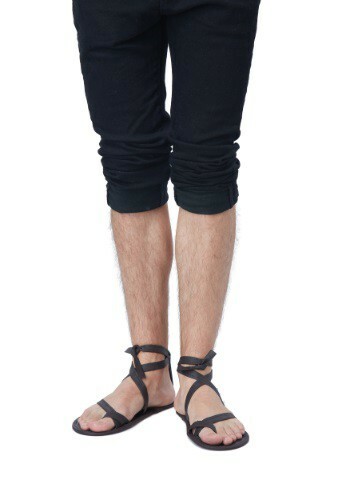 Back in the day, Socrates would walk the streets of Athens wearing something like these. But, we’re not sure you’ve heard: old-school is IN. Young people all over Brooklyn want to wear what your grandpa’s grandpa wore. If Noah used to kick back on the ark wearing a pair of these on those particularly hot days on the ocean, then that’s what you’ll see in Williamsburg on a hot day. It’s called being a hipster. Unless, you also may need these sandals to complete your Halloween look. Then it’s called smart shopping. Either way, we’re not judging. Pick up this strappy pair to accompany your toga to Greenpoint on Halloween eve, then wear them to brunch in Park Slope all summer long!